If you are contemplating between free web hosting and paid one, you really need to read this piece. One of the most popular free stuffs on the World Wide Web is free hosting and there are many service providers involved in this business. However, before you sign up for a free hosting service, there are several factors you need to consider and this will go a long way in determining the suitability or otherwise of the service. 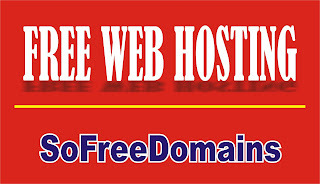 There are two types of free web hosting – free domain/free hosting and paid domain/free hosting. I will break down the two for you so that you will be able to take the best decision on the one that suits your need. 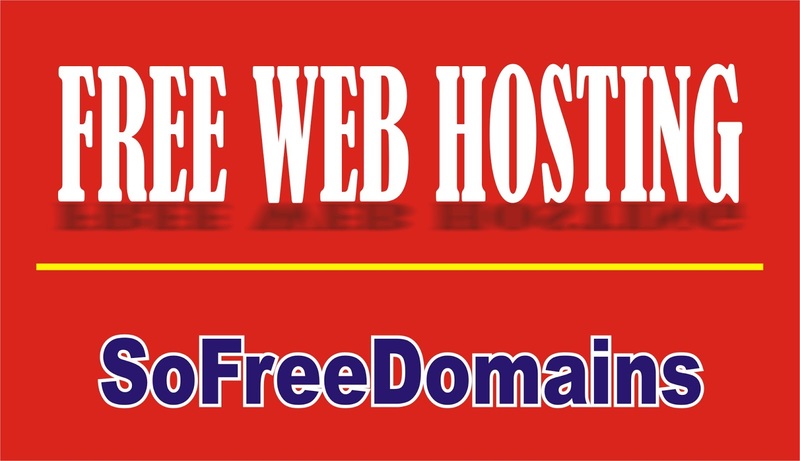 The first type is free domain/free hosting, which means that you won’t pay for domain name registration as well as hosting. If you go for this option, you will get a sub-domain, e.g. yourbusiness.freehost.com instead of a top-level domain (TLD), e.g. yourbusiness.com. In addition, you can’t get customized email addresses and there is going to be a limit to how you can design the site. Adverts will also be placed on the site, according to the discretion of the provider of the free service, because the provider needs to make money in order to be able to provide the service without charging you. The other type is paid domain/free hosting and if you go for this option, you will have to register a domain name and then look for a free hosting. The registration of a name will give you 100% ownership of it and you will have a full access to its domain name system (DNS). You will also be able to choose a web host of your choice and change it at any point in time. Getting a free hosting is as easy as ABC but there are restrictions associated with it. The bandwidth, file storage space, plug-ins, etc. that will be given to you will be incomparable to paid hosting. Also, you will not be given any customized email (e.g. info@yourbusiness.com), which may not be ideal for the image of your business because you will be left with no other option than free email services (e.g. Gmail and Yahoo). It is also important for you to be wary of free hosting providers. You should investigate their sources income that will enable them to continue to provide the service. I have seen many free hosting providers closed down and many businesses on their platforms suffered big losses. As a result of this, it is very important for you to investigate the sustainability of the free service you are getting and one of the best ways of doing this is to know the sources of income of your provider. A lot of them get their income from adverts, paid service and so on. If you are unable to discover any source of income of a provider, it is better for you to look elsewhere. If you are just starting out online and you don’t have much money with you, I will advise you to stay away from free domain/free hosting because of long-term implications. The other option, paid domain/free hosting, is better and you can migrate to the paid service as the need arises. It is also very essential for you to back-up your files to a local storage device at all times. This will ensure that your files are intact even if your host (free or paid) is having any problem. It will also make it easier for you to change from one host to another which may be necessary at any time. The best option I advise my clients is to register a domain name and get a reliable, paid web hosting service in order to get access to all the functionalities of building a profitable website. The cost implication is not high and the reward is incomparable. But if you can’t afford paid hosting for now, it is not a bad idea to choose a reliable free service in order to launch your online presence without hassles. However, you should take all the necessary precautions in order to be on a safer side. You can register a domain name or (domain names) and reserve it for future. This means that you can defer web hosting till the time you are ready to build a website. While the registration of the name guarantees you an address on the web space, web hosting provides all the functionalities of building a sustainable site. So, it is possible for you to secure an address on the web space now and leave its development to a later date in accordance with internationally recognized best practice. If you are not ready to make use of your domain name right now, you only need to register it with a reputable registrar and go no step further. If anyone types the name into a browser, it would indicate that the website does not exist and that’s because you have not hosted it. But if you search for the name with any of the registrars, it would indicate that it has been registered. If you want the domain to display something, you can park it with any service provider of your choice, in fact, there are many free parking services around. Domain parking means that a placeholder will be enabled for your domain which will indicate its status, e.g. “this site is under construction”, “this site is for sale”, etc. Some registrars will automatically park your domain when you register with them. Furthermore, it is very important for you to note that domain name registration is renewable depending on the plan you go for. There is the annual plan, 2-year plan, 3-year plan, 4-year plan, 5-year plan and so on. The higher the plan you choose, the easier it will be for you to hold on to a name in this competitive world and you should not allow it to expire (or ‘drop’ according to technical term) before renewal. Some people love to buy expired domains because of their age advantages. Apart from reserving a name for future use, you can register multiple names and decide not to develop them at all. This can be done in order to protect a certain site (or sites) online. You can register variations of your name and point them to your major domain so as to prevent cybersquatters from taking advantage of it. It is very important for you to protect your domain and that is why experienced webmasters are involved in multiple registrations. If you register ‘speak.com’ for example, you need to register ‘speaks.com’, ‘speak.net’, ‘speaks.net’, etc., because of cybersquatters. 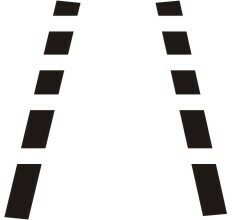 You only need to point or redirect these variations to the main domain – in this case, ‘speak.com’. In addition, you can register a domain and reserve it for sale in future. Buying and selling of domain names is a lucrative business and experts in this business can hold on to names for as many years as possible until the right people that can buy at their preferred prices show up. Consequently, names that were registered or bought for few tens or hundreds of dollars may be sold for hundred thousands of dollars. If you know how to discover hot domains and play the waiting game appropriately, you will be able to make a lot of money in the business. It is very important for you to park the domains you want to re-sell so that they won’t be blank and most times, a placeholder indicating that the domain is for sale can be very beneficial. It is a common practice for potential buyers to visit the website they want to purchase prior to making enquiries and if they find a page on the domain indicating that it is for sale, they would be more encouraged to go on with the deal. If you don’t reserve a name for future use, when you are ready to use it, it may not be available, and if it is available, you may have to pay through your nose in order to get it which may not be a sweet experience for you. 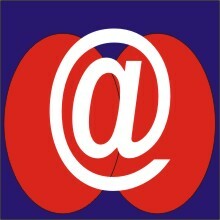 The role of the email can never be over-emphasized in today’s world despite the craze for the social media. As a result of this, email marketing is very essential for your domain in order to boost its profitability. However, if you want to get the best result in email marketing, there are certain strategies that should be implemented and some of them are revealed in this piece. 1. Formulate An Ideal Acquisition Strategy: Your list building strategy should be taken seriously. It is very important for you to consider various access platforms of the internet. You should make sure that your opt-in form works on mobile because majority of email users access their emails through mobile devices. 2. Make Your Email Mobile-friendly: Since majority of emails are being opened on mobile devices, your email design and content should be simplified as much as possible. If you don’t optimize for mobile devices, you would discover that majority of the emails you sent to your prospects and customers are deleted immediately. 3. Maintain A Reasonable Rhythm: For every marketing effort to be successful, it must be consistent. However, the consistency should not take your audience for granted. The frequency of the emails should be reasonable enough or else you stand a chance of losing a lot of subscriptions. You can increase the frequency of communication at the early stage of a relationship but this should be reduced with time. 4. Personalize Your Messages: Personalized emails yield better results and personalizing has gone beyond just mentioning the name of the receiver in the message, but using many factors like browsing habit, demographics, purchase history, etc., to formulate dynamic contents. Coming up with dynamic contents will give you the opportunity to send different messages to different people based on who they are, what they like and how they are currently engaged with you. 5. Remove Any Friction: Any brick wall that may stand in your marketing effort should be identified and dealt with from the onset. It is very important for you to ensure that your prospects are not burdened with too cumbersome account opening processes so that they don’t abandon them. You should also ensure that the website you are referring them to is mobile-friendly. 6. Don’t Forget To Get Their Permissions: This is very important so that your messages are not regarded as spams. Email marketing is “permission marketing” and if you are able to get your prospects’ and/or customers’ permission, you are definitely going to get their attention at all times. Managing the relationship properly will determine the level of success that can be achieved. 7. Encourage Sharing Via Email: Sharing shouldn’t be for social networks alone, encourage your audience to share valuable information through email. It is not possible to have everybody on the social media, hence, you should consider those who are not social freaks. 8. Make Use Of Predictive Analytics: With both internal and external data sources, you can make use of advanced predictive analysis to anticipate customers’ needs. The use of predictive intelligence will give you the opportunity to discover the blend of content and offers that will most probably generate the best response. 9. Use Video In Your Messages: In order to boost engagement and response rates, making use of videos in your messages is an ideal strategy. For simplicity, you are not going to email the actual video but a snapshot with a play-on button which will lead them to your site where the video is hosted. Generally, users would believe that once they click on the snapshot, the video will start playing, hence, you should activate the autoplay feature in order to meet their expectations. 10. Be Dynamic: Consumers are fast changing the way they read and react to emails, hence, you must respond to these changes accordingly. Consumers now have many ways of accessing their emails – desktops, laptops, tablet devices and mobile phones. Consequently, you must be prepared to manage engagements with different access platforms in mind so as to get the best result.